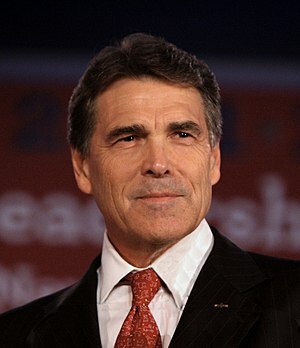 John Coleman, appearing on Red Ice Radio on September 26, 2011, diagnosed many of the problems facing the United States, yet fell into the establishment’s clutches by coming out in support of Texas Governor Rick Perry for the Republican presidential nomination in 2012 (starting at 16:38). Subsequent to the interview, Perry made a total fool of himself, much to the chagrin of his establishment promoters, who had already invited him to attend Bilderberg meetings, as he himself later admitted. But unlike past attendees Bill Clinton and Tony Blair who were invited before their rise to power, Perry flopped. As if being an attendee of the annual Bilderberg conference wasn’t enough of a giveaway that Perry is an establishment candidate, there was the video of a Bank of America lobbyist telling Perry they would help him out. The host expressed surprise at Coleman’s claim, but moved on, since there’s no point in putting the guest in a defensive position in stating an opinion when the rest of his points seemed good. To me, this shows how too many seemingly well-meaning patriots continue to let themselves be duped into voting for a candidate of the establishment parties, thinking that they will somehow be different, as if the bi-partisan examples of “compassionate conservative” George W. Bush and “hope and change” Barack Obama weren’t enough for them by now.